VP for Academic Affairs Callaghan Commons has stated that higher education is ‘massively under-funded’. 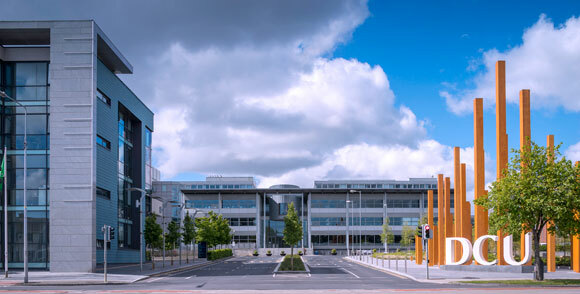 DCU is one of the universities across Ireland which is seeking more freedom from state regulation in order to hire more lecturers. Although the government’s National Strategy for Higher Education aims to have Irish universities to be among the top in Europe by 2026, VP for Academic Affairs Callaghan Commons has stated that higher education is ‘massively under-funded’. “This is yet another showcase of how higher education is massively under-funded and how the Cassells Report needs to be acted upon by instating publicly funded education,” he told The College View. “By universities being restricted in the hiring of staff the education of the students is directly affected by this,” explained Commons. “This has been seen by many Irish institutions slipping in the global rankings,” he added. The Cassells’ Report, published in 2016, outlines the scale of funding required and funding options ‘to recognise higher education as a key enabler’. The options include a state-funded system, increased state funding with continuing student fees or increased state-funding with deferred payment of fees through income contingent loans. The Irish University Association (IUA) has now united with The Technological Higher Education Association (THEA) and called for the government to address higher education funding. “The government has repeatedly stated that it wants to have ‘the best education system in Europe’,” said Jim Miley, the Director General of the IUA last week. “That cannot be delivered without a significant increase in investment in higher education. If the investment is not made, the future talent pipeline for the workforce will be jeopardised and the country’s competitive edge will be at serious risk,” he added. The groups warn that if funding is not addressed, 7 and 8 year old primary school students ‘will not have sufficient college places available to them in 2030’. “There’s been a 2% increase in the number of students attending third level year on year, at the same time there has been a managed decline in state investment,” commentated Síona Cahill, President of the USI. “The system is underfunded and students face the burden – at €3,000 per annum, students are already paying the second highest fees in Europe. It’s clear the government must act, and invest meaningfully in the present and the future of this country before it’s too late,” she concluded.